Heavy favorites OpTic Gaming crashed out of the tournament with a fourth-place finish. At the most recent Gears Pro Circuit event in Las Vegas, Nevada, one of the biggest surprises in Gears of War history occurred. OpTic Gaming, the most dominant team in Gears Pro Circuit history, were eliminated from the GPC Las Vegas Open before the grand finals—something that had never happened before the tournament. Instead of OpTic, it was Ghost Gaming—Yadiel “Sleepytime” Hidalgo, Dylan “Speedy” Winston, Christian “RushieZ” Rivera, Jourdan “Ribs” Ribeiro, Daniel “Identivez” Santillana—who were crowned Gears Pro Circuit Las Vegas Open champions as they defeated European team Fable Esports in the grand finals. 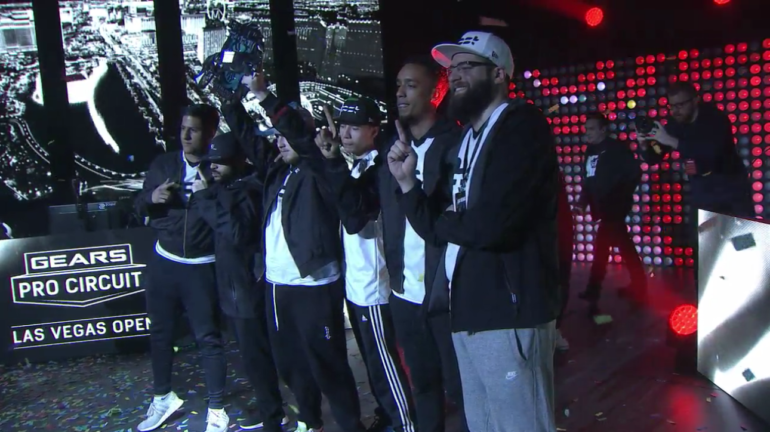 Although Ghost did not have to go through the defending champions in order to take the title, Ghost was forced to take down Echo Fox, Motiv8 Gaming, and Fable twice in bracket play to secure the title. OpTic had won five consecutive events heading into Las Vegas, but their momentum stalled when the Green Wall went up against Fable Esports in the first round of the championship bracket. Despite the shocking loss, OpTic bounced back and won three series to reach the semifinals of the losers’ bracket against Ronin. But Ronin, similarly to Fable, was up for the challenge versus OpTic and was able to pull off the upset. The loss put OpTic in fourth place, their lowest event finish as a team. Ghost took advantage of OpTic’s struggles as they took down Motiv8 Gaming, Echo Fox, and Fable without dropping a single game to reach the grand finals. Despite likely expecting to meet OpTic in the grand finals to have a rematch of the GPC Mexico City Open grand finals, Ghost were greeted by Fable, a team they swiftly defeated to claim the championship. The newly-crowned champions have added $80,000 to their prize earning total and they will look to add more in July at the next Gears Pro Circuit event.